[…] Organizational complexity is defined as the amount of differentiation that exists within different elements constituting the organization. This is often operationalized as the number of different professional specializations that exist within the organization. For example, a school would be considered a less complex organization than a hospital, since a hospital requires a large diversity of professional specialties in order to function. 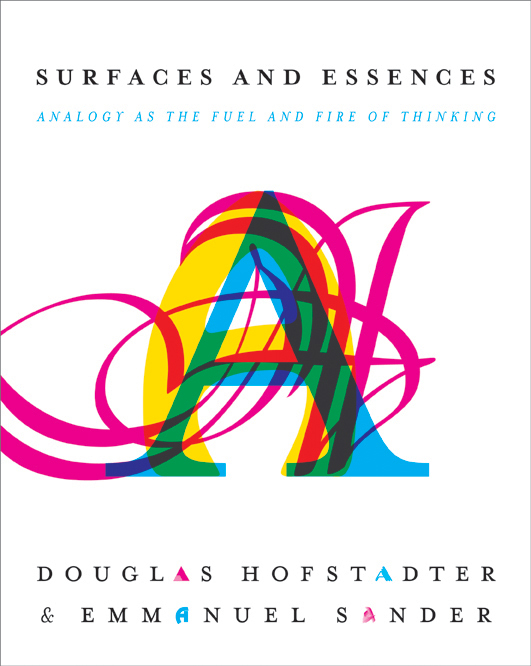 Organizational complexity can also be observed via differentiation in structure, authority and locus of control, and attributes of personnel, products, and technologies. Contingency theory states that an organization structures itself and behaves in a particular manner as an attempt to fit with its environment. Thus organizations are more or less complex as a reaction to environmental complexity. An organization’s environment may be complex because it is turbulent, hostile, diverse, technologically complex, or restrictive. An organization may also be complex as a result of the complexity of its underlying technological core. For example, a nuclear power plant is likely to have a more complex organization than a standard power plant because the underlying technology is more difficult to understand and control. There are numerous consequences of environmental and organizational complexity. Organizational members, faced with overwhelming and/or complex decisions, omit, tolerate errors, queue, filter, abstract, use multiple channels, escape, and chunk in order to deal effectively with the complexity. At an organizational level, an organizational will respond to complexity by building barriers around its technical core; by smoothing input and output transactions; by planning and predicting; by segmenting itself and/or becoming decentralized; and by adopting rules. The Internet has given us a glimpse of the power of networks. We are just beginning to realize how we can use networks as our primary form of living and working. David Ronfeldt has developed the TIMN framework to explain this – Tribal (T); Institutional (I); Markets (M); Networks (N). 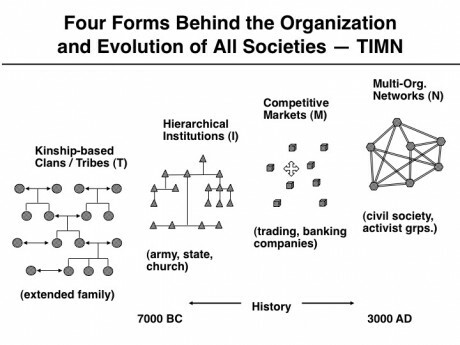 The TIMN framework shows how we have evolved as a civilization. It has not been a clean progression from one organizing mode to the next but rather each new form built upon and changed the previous mode. He sees the network form not as a modifier of previous forms, but a form in itself that can address issues that the three other forms could not address. This point is very important when it comes to things like implementing social business (a network mode) within corporations (institutional + market modes). Real network models (e.g. wirearchy) are new modes, not modifications of the old ones. Finally, on these areas (far behind the strict topic of organizational topology and complex networks), let me add two books. One his from José Fonseca, a friend researcher I first met in 2001, during a joint interview for the Portuguese Idéias & Negócios Magazine, for his 5th anniversary (old link) embracing innovation in Portugal. 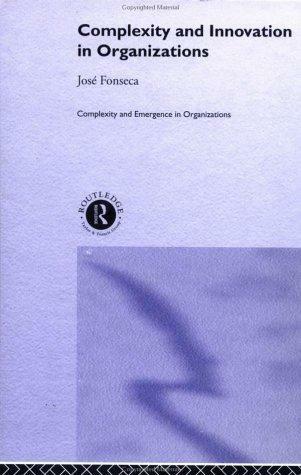 His book entitled “Complexity & Innovation in Organizations” (above) was published in December that year, 2001 by Routledge. 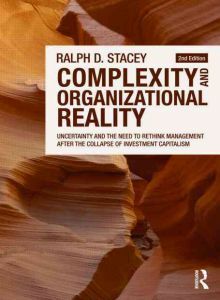 The other one is more recent and from Ralph Stacey, “Complexity and Organizational Reality: Uncertainty and the Need to Rethink Management After the Collapse of Investment Capitalism” (below), Routledge, 2010. Even if, Ralph as many other past seminal books on this topic. Both, have worked together at the Hertfordshire University.